You are here: Home / Expired / FREE Painted Pumpkins Doormat! In Time For Halloween! FREE Painted Pumpkins Doormat! Celebrate Halloween with this coir Painted Pumpkin Design Doormat from 105. 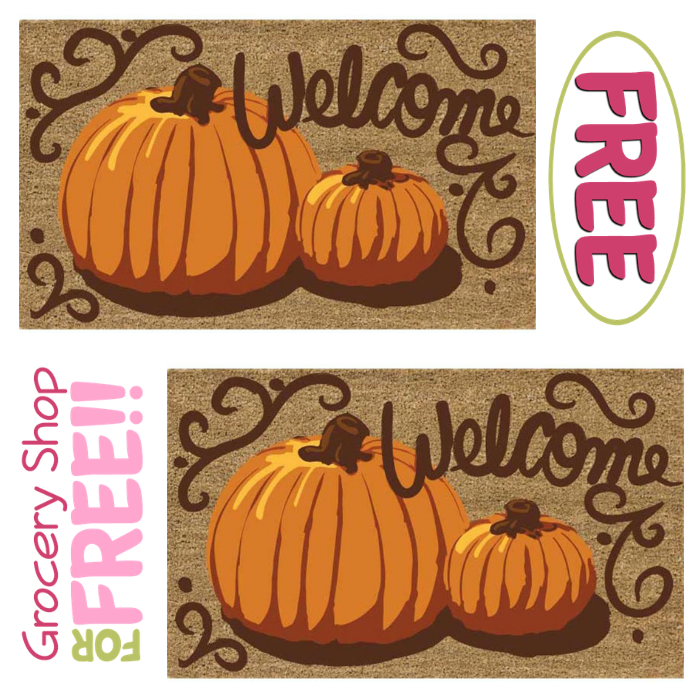 Make sure to grab this FREE Painted Pumpkins Coir Doormat for new TopCashBack members! This lively doormat will let your guest know that you are happy to see them. Adds character to your front door. Comes in a big 18 inches by 30 inches size. Handmade from renewable coco fiber. Made with fade-resistant dyes in a design of vibrant pumpkins. Fiber is naturally mildew and mold resistant. Traps dirt and debris at your front door and not in your home. Spend at least $9.88 or more via this special link —> TopCashBack and get $9.88 in cash back! Click on the “Get Offer“ button and it’ll take you to 105. Add 1 “1 Painted Pumpkins 18 in. x 30 in. Coir Doormat“ priced for $9.88 to your cart then shop as normal and checkout. If the price changes or anything happens to the stock, the deal is officially over. Once you checkout, transactions may take up to 7 days to appear in your TopCashback account. In about 14 days, $9.88 will post in your TopCashback account. Important: The deal is open until 11:59pm PST on 10/20/2018 or until supplies run out; whichever happens first; applicable for purchases made directly after clicking through TopCashback. Only one TopCashback account is permitted per member.